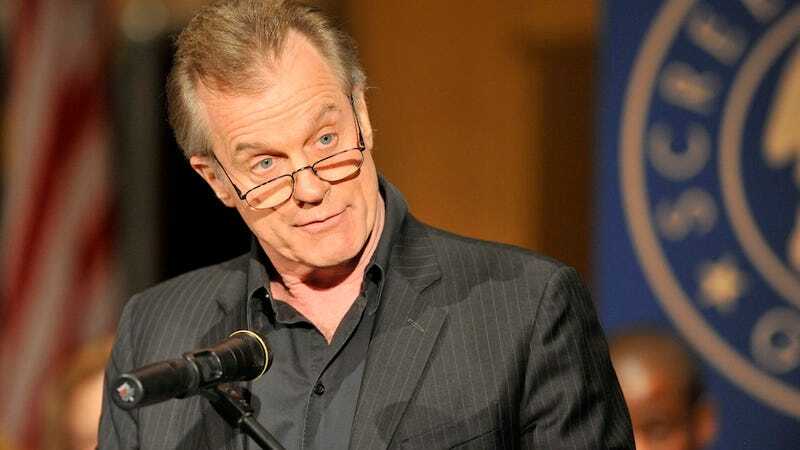 In a statement to People, Stephen Collins—the actor best known for his role as Reverend Eric Camden on 7th Heaven—has confessed to molesting having inappropriate sexual contact* with three young girls between 1973 and 1994. According to Collins, he has "not had an impulse to act out in any such way" for 20 years. "Forty years ago, I did something terribly wrong that I deeply regret. I have been working to atone for it ever since," Collins' statement begins. I've decided to address these issues publicly because two months ago, various news organizations published a recording made by my then-wife, Faye Grant, during a confidential marriage therapy session in January, 2012. This session was recorded without the therapist's or my knowledge or consent. Yes, it's terrible when someone does something that hurts and violates you without your consent. Let's hope that irony isn't lost on Collins. On the recording, I described events that took place 20, 32, and 40 years ago," Collins continues. "The publication of the recording has resulted in assumptions and innuendos about what I did that go far beyond what actually occurred. As difficult as this is, I want people to know the truth. I did have an opportunity to do so with one of the women, 15 years later. I apologized and she was extraordinarily gracious...But after I learned in the course of my treatment that my being direct about such matters could actually make things worse for them by opening old wounds, I have not approached the other two women, one of whom is now in her 50s and the other in her 30s. The full piece in People will be out Friday and Collins will discuss his statement in an interview with Katie Couric on 20/20 this Friday. Clear your calendars...to do anything other than watch that. *We have been requested to clarify that Collins did not confess to molesting all three of his victims. According to Collins and his team, physical contact was made with only one the girls. The other two involved indecent exposure.